I received the below mentioned sub box in exchange for this post, all opinions are my own. Sponsor is responsible for prize fulfillment. 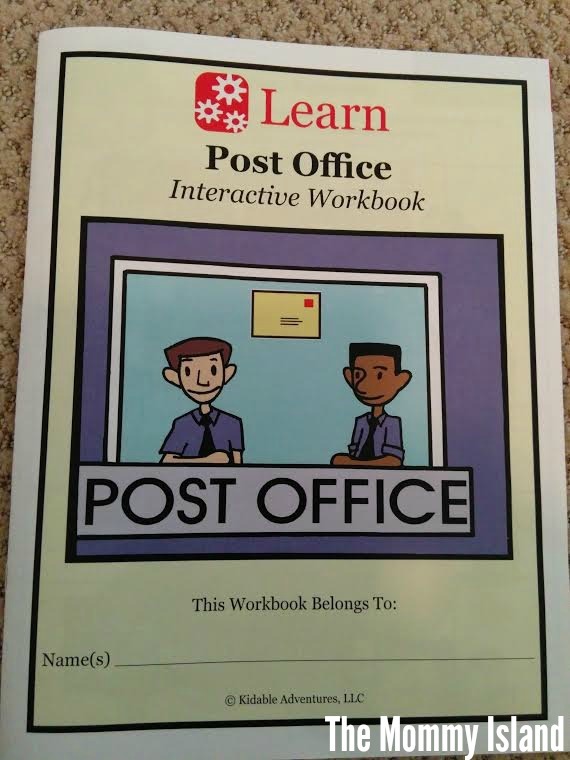 Do you remember being a child and the joy you felt when you received something in the mail? I know my sister and I would actually fight over who would get to check the mail box, because we were always hopeful there would be a surprise waiting. The Booper is the same way, he loves to get to check the mail. He's always hopeful there will be a envelope or package waiting for him. Subscription boxes are becoming very popular, and for a child I'm not sure what could top it. We had the pleasure of receiving a box of goodies from Kidable Adventures. When the Booper realized the box was for him a huge grin spread over his face. We received Kidable Adventures - Little Thinker Box, and it couldn't have been more perfect for the Booper. As I mentioned before he's fascinated with getting the mail, so what could be better than pretending to be a mail carrier? The Little Thinker Box includes components; Read, Create, Explore, and Learn. Plus...a yummy snack! I was impressed by the number of activities included, but the Booper's favorite from the box we received was the mail carrier vest. He's played and played with it. 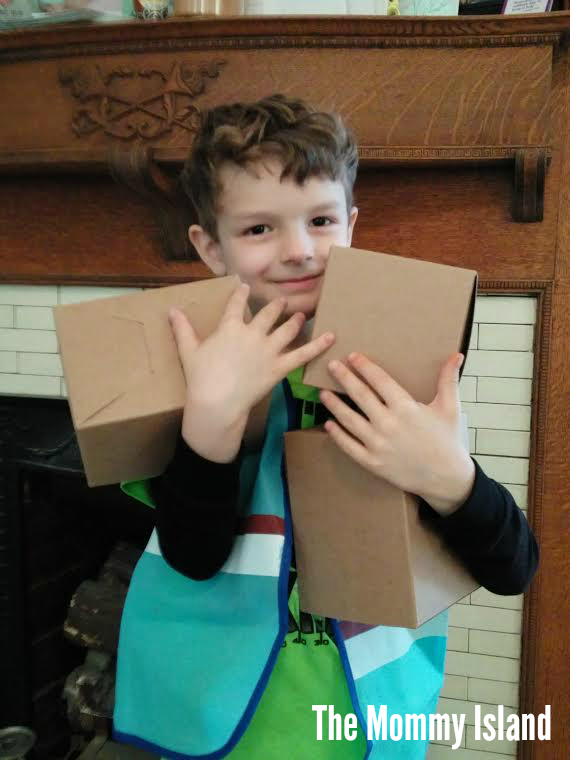 There were a few small boxes that were meant for a project, but he uses them for his pretend play like he's delivering packages. Next in line he loved all the stickers and doing the Post Office interactive workbook. Most of the activities seemed age appropriate or needed just a small amount of help. Several of the goodies included are able to be reused for hours of fun. 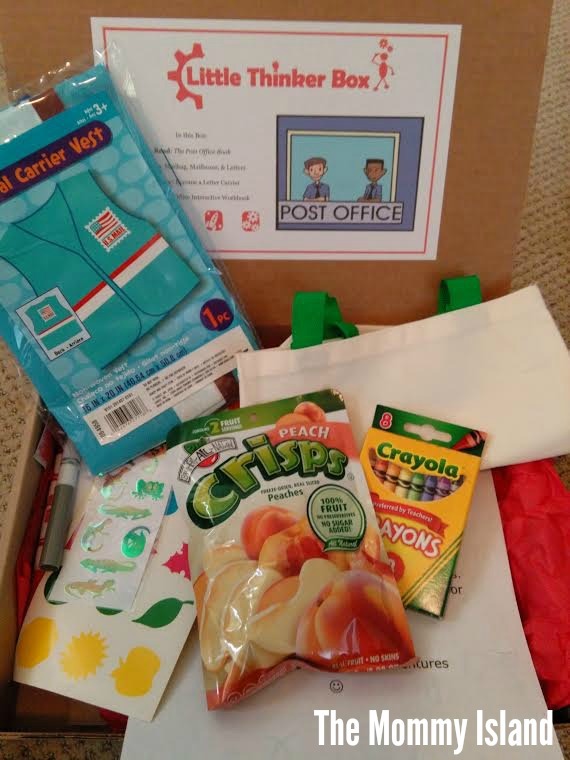 I would definitely recommend Kidable Adventures for anyone thinking of buying their own child a subscription box or for gifting another child. 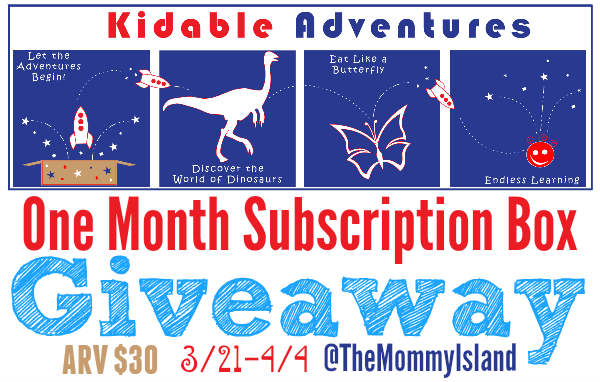 One lucky entrant selected by the giveaway form will receive One Month Subscription to Kidable Adventures! (ARV$30) Open to readers in the US, 18 years and older. No PO boxes. Open for entry from 3/21-4/4/16 at 11:59pm EST. Winner will have 24 hours to respond to notification email to claim their prize or a new winner will be selected. 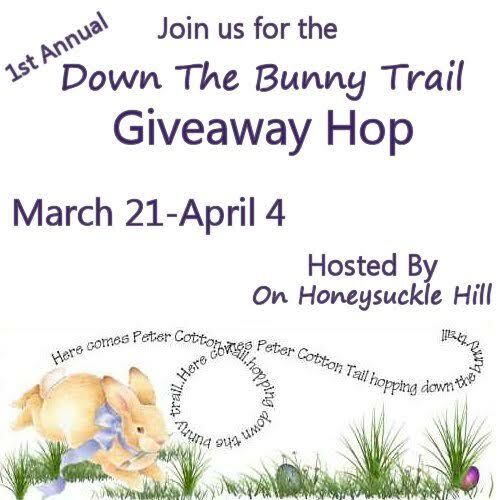 Use the entry form below to enter, then be sure to scroll down for our "Down The Bunny Trail" giveaway hop for more events to enter! 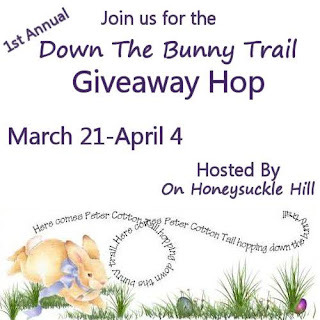 Special thanks to On Honeysuckle Hill for hosting this fun bunny trail giveaway hop! Booper and I share the same nickname. My Grandfather called me that when i was little, he said he got it from Betty Boop. The funny thing is that years later my husband started calling me Boo, reminding me of my former nickname. there is nothing wrong with being a Booper, he is in good company, i have met many wonderful Boopers along the way! I love surprises, my grandchildren are too little to check the mail. We all love mail at our place! I love sending my grandkids surprises in the mail! I love surprises in the mail! Well, pleasant ones. My son loves to check the mail. He's even on a first name basis with the mailman. My daughter loves checking the mail and I'm always excited to get the mail. Yes she checks mail everyday to see if we won anything. My great grandchildren always have to go to the mailbow with me! They love getting anything they think is for them. My son would have loved this when he was little. I used to love getting penpal letters in the mail when I was a kid. My grandkids love to go out and bring in the mail. They both love when things are to them. Yes, my son love to check the mail. He checks by our gate for packages too. Yes,they do. They get excited. My kids love mail too. They wan to open all the boxes! My son likes to check mail for packages to come. My daughter and I have a routine - every day we take a walk and check the mail on the way home. She's always so excited. Mu daughter absolutely loves checking the mail. to be honest--we both love surprises in the mail. My grandson loves getting addressed to him through the mail. My daughter absolutely loves getting the mail! She always lets me know if she sees his truck through the window, too lol. My children like when I bring in the mail. It is to far of a walk for them to check it themselves. My grandson loves getting mail, I enjoy most mail, not junk mail. I do enjoy surprises in the mail!